Joy Williams. Photo credit: Andy Barron. If you weren’t at Blueberry Hill’s Duck Room on Friday, November 16th, then you missed out on a phenomenal concert from artist Joy Williams and her musicians. The night was cold, the Duck Room was cozy, and Williams’ mesmerizing performance was truly a great one to see. If you missed Friday night’s show, don’t fret, as she will still be touring throughout this winter, getting audiences warmed up for her upcoming album due in Spring 2019. 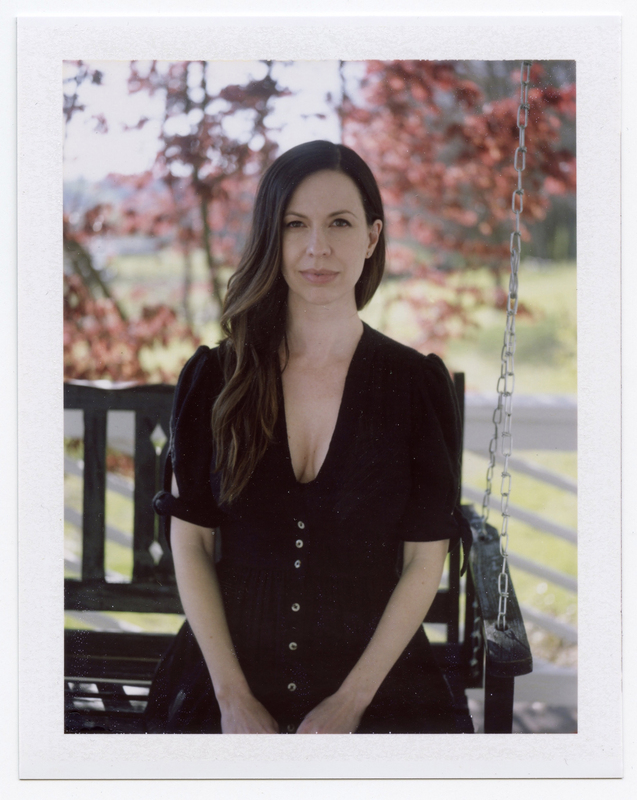 For those not aware of Joy Williams, or with just a passing understanding of who she is, the artist is half of the duo that makes up the iconic Americana band, The Civil Wars. That band became a household name after their album “Barton Hollow” became a big hit with music lovers in 2011. While she is mainly known for her work in The Civil Wars, Williams has spent many years honing her skills as a musician and putting her own brand of folky Americana out there for the public. Williams musical style crosses genre boundaries to include influences like country, folk, rock, and even ‘80s/’90s pop. Opening for Joy Williams was musician Anthony da Costa, a relatively unknown singer and guitarist who we would find out later is part of Williams’ band. A charismatic individual, da Costa had no trouble making the audience laugh while simultaneously hypnotizing them with his beautiful voice and energetic performance. While da Costa’s name does not have the same draw as Joy Williams, his work as a musician is also extensive, and according to his website he has worked with larger names like Kenny Loggins and Sarah Jarosz. His new album, DA COSTA, is out now and available for purchase. You’re probably wondering why I’m talking so much about this guy, and the only answer I can give is that I really liked him and his work. So go and check him out, dangit. We need to keep talent like his alive and thriving. On to the peak moment of the night: Joy Williams’ performance. I find it kind of wrong how talented, beautiful, humble, and funny the artist is, but that’s just jealousy talking and I’m actually really grateful to her for putting on such a great show. Starting off the night with a pitch-perfect version of “Devil’s Backbone”, Williams stunned the crowd into silence by jumping right in with one of her more popular songs from her previous band, The Civil Wars. Accompanied by da Costa on guitar, an upright bassist, and a violinist/guitarist/vocalist, Williams did not overwhelm the audience with her stage presence, but she and the group’s collective talent is a tad astounding. Her down-home stage presence fits in really well with her style of music and the intimacy of the gathering. One song that really moved the crowd was “Preacher’s Daughter”, a tribute to Williams own father who passed away four years ago. Fitting in with the theme of heartbreak that encompasses many of Williams’ songs, “Preacher’s Daughter” was an unguarded tune that left both the audience and the singer moved to tears. Artists often don’t sound exactly like their sound recordings, and that is not necessarily a bad thing. The live performance of a song is often the raw, unrestrained version of your favorite tune, mixed in with the chemistry of the artist connecting with the audience. Having said all that, Joy Williams defies what you think of as the “live” form of her songs. Her voice is so good and so polished that it honestly feels like you’re listening to her album in a duck-themed basement, but with it being so much better because the artist is truly in front of you giving it her all. That’s the kind of magic that can happen at these intimate shows with artists, and if you’re lucky enough to see one as talented as Joy Williams, that experience will stay with you long after the music has stopped playing. I can’t wait for Joy Williams and her crew to come back to St. Louis, but if you missed Friday night at Blueberry Hill’s Duck Room and don’t want to wait, you can still see her at venues in Ohio, Kentucky, and Texas. Visit the artist’s website and stay tuned for her upcoming album. If you were at the show on Friday night, leave a comment and let us know about your experience. When Does the Heart Move On?